At the suggestion of the Igman Initiative, the Committee on Labor, Pension System and Social Partnership of the Croatian Parliament summoned the thematic session Free Movement of Labor Force between the Countries Signatories of the Dayton Agreement, Using the Experiences of the Nordic Model of Cooperation– Challenges and Obstacles. The session was organized as the follow up of the activities realized within the framework of the project of the same name, supported by the Danish Embassy in Belgrade. Aside from the chairmen and representatives of competent parliamentary committees and ministries from the countries signatories of the Dayton Agreement, as well as the Igman Initiative co-presidents, the session was attended by the following persons: Poul Erik Dam Kristensen, Ambassador of Demark, Henrik Ofstad, Ambassador of Norway, Ville Andersson, Deputy Head of Mission of Embassy of Finland, Boca Prodanovic, Charge d’Affaires at the Embassy of the Republic of Serbia, as well as the representatives of the Committee on Labor, Family, Social Issues and Persons with Disabilities of the Slovenian Parliament and competent Ministry. The meeting was facilitated by Silvano Hrelja, Chairman of the Croatian Parliament Committee on Labor, Pension System and Social Partnership. He stated that the main goal of the session was improvement of legal framework in the area of the protection of labor and social rights of migrant workers, predominantly threatened by grey labor market. Consequently he highlighted the necessity of signing documents on cooperation at the level of governments, which will obligate them to act accordingly, regardless of the outcome of forthcoming elections, as the main prerequisite for protection and Vehid Sehic, Co-president of the Igman Initiative for B&H, stated that the right to work is one of the fundamental human rights, which the state does not need to fulfill however it is obliged to provide social security. The aim of this initiative, which is pointed towards free movement of labor force between the countries signatories of the Dayton Agreement, is not to prevent the countries from putting restrictions on the movement of labor force but to advocate for the regulation of this area. He deems that the conclusion of bilateral agreements in this area could eliminate exploitation of human Vesna Rakonjac, Chairwoman of the Serbian Parliament Committee for Labor, Social Issues, Social Inclusion and Reduction of Poverty, stated that recently adopted Law on Employment of Foreigners stipulates the quota system in issuing work permits to foreigners, which is regulated by the Government in accordance with migration policy and labor market trends. The amendments to the Law on Employment and Unemployment Insurance, introduced the provisions that protect domestic labor force working abroad and increase the accountability of agencies for employment. With regard to asylum seekers, she stated that their position should be resolved through the Department for Human Rights. Representatives of the Croatian Parliament Committee on Labor, Pension System and Social Partnership expressed their views that the movement of labor force is not a fundamental human right, but it is a subject to economic indicators and conditions on labor market. Croatia does not have migration policy and without political will within these four countries this issue cannot be solved. They also stated that the issue of unemployment, that needs to be solved before cooperation between those countries is set off, is of national character as the unemployment rate is one of the major issues in these four countries. Improved economy will certainly open up more space for cooperation. The issues of illegal work and discrimination should not be put in the context of bilateral cooperation as it is the issue of national legislation. When it comes to the persons with dual citizenship, they highlighted the significance of mutual exchange of information and coordination of social security, so as to prevent maltreatment. Cross-border work is a topic that necessitates cooperation. They also highlighted the necessity of educating the society to think of social policy as crucial to the quality of life of citizens in this region. Representatives of the Croatian Ministry of Labor and Pension System stated that free movement of labor force, regardless of the fact that it is one of the four freedoms proclaimed by the EU, has it limitations which can be applied to Croatia, as a member state, and which were introduced by the European Commission for the purpose of protecting the conditions on labor market in 13 member states. Nevertheless, there are certain categories, such as highly qualified workers, which find employment without work permits in almost all countries. At the same time citizens with dual citizenships (Croatian and other) also find employment without work permits. 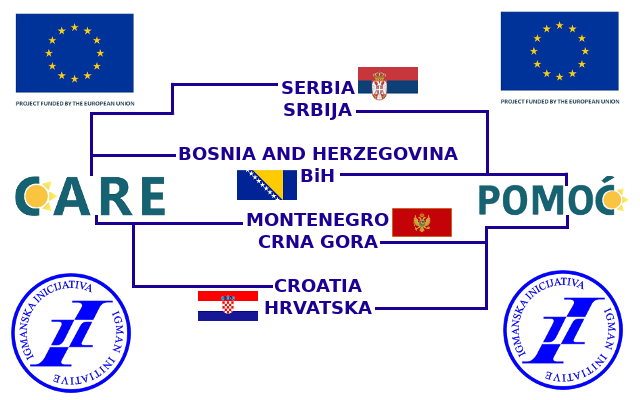 Although Croatia hasn’t signed bilateral agreements in this area with none of the three countries (Serbia, B&H and Montenegro) there have been suggestions and assessments with that regard. Croatia has made a big step concerning youth employment as it withdrew considerable financial means from European Social Fund, and employed a vast of, before all, highly educated young people. Montenegro adopted the Law on Foreigners, which regulates the area of residence and movement of foreigners, and that this law does not prohibit employment of foreigners in Montenegro but stipulates that jobs are first to be offered to domestic workers. In cases where there are no domestic workers of a certain profile, employment of foreigners is permitted. 2. 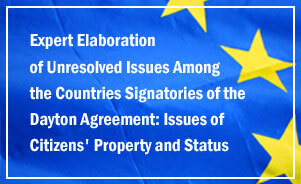 Participants invite the governments, institutions, social partners and CSOs from the countries signatories of the Dayton Agreement to cooperate, exchange information and remain firm in the decision to protect the labor rights of domestic workers, as well as workers coming from neighboring countries.